There is no one who can save but Jesus. There is no way to step into eternity with Holy Ghost by your own work. Only Jesus paid a high price to redeem you back to the Father. He is the only way and our lives must proclaim that message. | To learn more about Todd White and the ministry of Lifestyle Christianity, visit lifestylechristianity.com. To find out how to train with Todd and team for 13-weeks, one year, two years, or even three years at Lifestyle Christianity University, visit lifestylechristianityu.com. Holy Spirit is absolutely vital to our relationship with God on earth. He was sent to us so that we could experience heaven on earth is His presence. If we don’t recognize our need for Him, we will live our entire lives short of the fullness that Jesus paid a price for. He loves us and wants to be with us and in us to touch the world around us. | To learn more about Todd White and the ministry of Lifestyle Christianity, visit lifestylechristianity.com. To find out how to train with Todd and team for 13-weeks, one year, two years, or even three years at Lifestyle Christianity University, visit lifestylechristianityu.com. Real grace in it purity has to bring transformation. Grace enables us to run towards Jesus regardless of where we’re at and what we’ve done. Only false grace will lead us to believe that it’s okay to sin and get away with it. True grace will always bring hope and vision for a greater tomorrow. | To learn more about Todd White and the ministry of Lifestyle Christianity, visit lifestylechristianity.com. 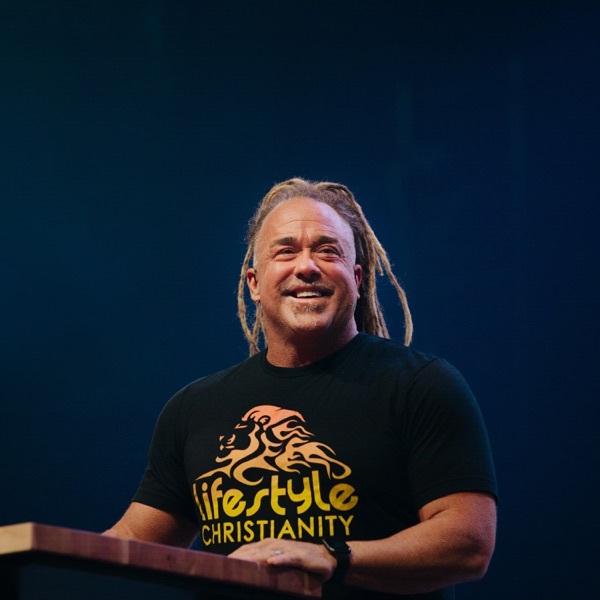 To find out how to train with Todd and team for 13-weeks, one year, two years, or even three years at Lifestyle Christianity University, visit lifestylechristianityu.com. In this Podcast Todd shares his heart on the power of surrender to Jesus. What does picking up a cross and following Him practically look like? Why must we do this? It can be easy to write of the scripture instead of pressing into what Jesus has intended to communicate through it. If Jesus said it then there must be great breakthrough for us on the other side. | To learn more about Todd White and the ministry of Lifestyle Christianity, visit lifestylechristianity.com. To find out how to train with Todd and team for 13-weeks, one year, two years, or even three years at Lifestyle Christianity University, visit lifestylechristianityu.com. Standing up for what you believe is a core value that Jesus has called us to live by. We are called to step into the gap between those who are not known, not seen, hated, and rejected. It's our privilege to love these people and show them Jesus but never compromise the reality of the Gospel. For in the Gospel is their freedom. | To learn more about Todd White and the ministry of Lifestyle Christianity, visit lifestylechristianity.com. To find out how to train with Todd and team for 13-weeks, one year, two years, or even three years at Lifestyle Christianity University, visit lifestylechristianityu.com. Saying, “yes” to Jesus means you’re saying no to yourself. Life teaches us that having best of both worlds is what everyone needs. But in Jesus, He is the only world we need. A life lived in surrender abounds in much fruit, growth, and favor because God uses those who give themselves to Him without holding back. | To learn more about Todd White and the ministry of Lifestyle Christianity, visit lifestylechristianity.com. To find out how to train with Todd and team for 13-weeks, one year, two years, or even three years at Lifestyle Christianity University, visit lifestylechristianityu.com. As we continue to understand the Gospel our lives can’t help but to look different from the rest of the world. Jesus shines brightly and simply pours out love because it’s who we are called to be. Now is the time to come out and be seperate because everyone wants love like Jesus. | To learn more about Todd White and the ministry of Lifestyle Christianity, visit lifestylechristianity.com. To find out how to train with Todd and team for 13-weeks, one year, two years, or even three years at Lifestyle Christianity University, visit lifestylechristianityu.com. Living from the place of intimacy with Jesus will constantly keep us grounded in truth. Life is only hard when our sight becomes set on something that does not matter most, Him. In this Podcast, Todd shares his heart on having one focus set of Jesus. | To learn more about Todd White and the ministry of Lifestyle Christianity, visit lifestylechristianity.com. To find out how to train with Todd and team for 13-weeks, one year, two years, or even three years at Lifestyle Christianity University, visit lifestylechristianityu.com. Trials, tribulations, and persecution do not stop when we accept Jesus as our Savior. Many times they may increase because the enemy wants us to lose sight and hope of where we're going. What Jesus gives us is a new perspective to see life from the victory of the cross. When you know you win in the end, staying steadfast isn't hard. | To learn more about Todd White and the ministry of Lifestyle Christianity, visit lifestylechristianity.com. To find out how to train with Todd and team for 13-weeks, one year, two years, or even three years at Lifestyle Christianity University, visit lifestylechristianityu.com. Jesus had paid the greatest price so that we never have to be hurt or offended. He took on the very nature of sin and put it to death so that we can take on the nature of the Father. For it is in the Father that we step into new experiences of His great glory. | To learn more about Todd White and the ministry of Lifestyle Christianity, visit lifestylechristianity.com. To find out how to train with Todd and team for 13-weeks, one year, two years, or even three years at Lifestyle Christianity University, visit lifestylechristianityu.com. Since Jesus had paid the price for our freedom and wholeness we can always count on Him being with us. He will never leave us or forsake us because it's a promise that He has made. He is the one who works in and through us. All we have to do is allow Him to by stepping out. | To learn more about Todd White and the ministry of Lifestyle Christianity, visit lifestylechristianity.com. To find out how to train with Todd and team for 13-weeks, one year, two years, or even three years at Lifestyle Christianity University, visit lifestylechristianityu.com. Although it absolutely true that Jesus is always with us we miss an element of Him when we are not aware of His presence. He doesn't just show up when we approach someone on the streets. He doesn't come when we begin to pray for someone. He is always with us. He is always ready to touch people. It's our awareness of Him that will magnify His manifestation through us. | To learn more about Todd White and the ministry of Lifestyle Christianity, visit lifestylechristianity.com. To find out how to train with Todd and team for 13-weeks, one year, two years, or even three years at Lifestyle Christianity University, visit lifestylechristianityu.com. Mathew 5 tells us that those who hunger and thirst for righteousness shall be filled. Our focus must be set on Jesus and who He called us to be. The enemy is interested in having us lose sight of where we're going. He wants us to get caught up in the heavy things. Jesus made it simple. He simply said to believe that there is more. | To learn more about Todd White and the ministry of Lifestyle Christianity, visit lifestylechristianity.com. To find out how to train with Todd and team for 13-weeks, one year, two years, or even three years at Lifestyle Christianity University, visit lifestylechristianityu.com. Spending time in the secret place is he only thing that could sustain intimacy with God regardless of what’s happening around us. Although we may not feel or see anything we must know that God’s word transforms us. It is in this place that we build our lives in Him. | To learn more about Todd White and the ministry of Lifestyle Christianity, visit lifestylechristianity.com. To find out how to train with Todd and team for 13-weeks, one year, two years, or even three years at Lifestyle Christianity University, visit lifestylechristianityu.com. From a young age, the world around us teaches us to know the voice of the enemy. Fear, shame, and condemnation become our first language and little by little they bring us down. Jesus said to know the voice of our Shepherd and not to follow the voice of a stranger. In this episode, Todd teaches us to turn our hearts and ears towards the one who created us. | To learn more about Todd White and the ministry of Lifestyle Christianity, visit lifestylechristianity.com. To find out how to train with Todd and team for 13-weeks, one year, two years, or even three years at Lifestyle Christianity University, visit lifestylechristianityu.com. Do You Learn from Jesus? Encounters with the Lord often times bring excitement and passion that we didn't experience before. Often times it could be easy to come to a conclusion that says, "if I feel good, I am good." Which is wrong. When we encounter the Lord we must learn from Him. That we may become like Him so that regardless of what is happening around us we know Him who called us. | To learn more about Todd White and the ministry of Lifestyle Christianity, visit lifestylechristianity.com. To find out how to train with Todd and team for 13-weeks, one year, two years, or even three years at Lifestyle Christianity University, visit lifestylechristianityu.com. It can be easy to step into a perspective, that leads us to believe that if we do a list duties then we are right with God. As believers, we never have to do something to earn the love of God. He has already, freely, given us Jesus. To try to earn the love of God would be to say that the blood of Jesus isn't enough for your sin. The blood is always enough! | To learn more about Todd White and the ministry of Lifestyle Christianity, visit lifestylechristianity.com. To find out how to train with Todd and team for 13-weeks, one year, two years, or even three years at Lifestyle Christianity University, visit lifestylechristianityu.com. Sometimes it seems like Scripture is hard to understand and read. Other times we can read and completely forget what we had read. Fortunately for us, the Word of God is alive, sharp, and active. when we open up the pages and dig in, God transforms us by planting a seed. Whether we understand what it says doesn't matter nearly as much as actually getting it to our spirit man. For God will reveal all truth. | To learn more about Todd White and the ministry of Lifestyle Christianity, visit lifestylechristianity.com. To find out how to train with Todd and team for 13-weeks, one year, two years, or even three years at Lifestyle Christianity University, visit lifestylechristianityu.com. Many times holiness is viewed as a requirement to enter heaven instead of a privilege that has been gifted to us through the cross. Holiness was what God had intended for humanity and our relationship with Him. Living in deep conviction of righteousness will keep us away from Sin but it is holiness, by grace, that will keep us near to God. | To learn more about Todd White and the ministry of Lifestyle Christianity, visit lifestylechristianity.com. To find out how to train with Todd and team for 13-weeks, one year, two years, or even three years at Lifestyle Christianity University, visit lifestylechristianityu.com. What Does the Cross Reveal? A Light to the World? What Is Identity in Christ? What Does It Mean to Imitate Jesus? This is an Update Call with Todd about the new Training Center and Lifestyle Christianity University! This call was recorded live on Thursday, May 10th, 2018 via Facebook Live. SHARE this call with your friends by clicking "share" on your podcast app...or by directing them to visit Todd's Facebook page: Facebook.com/ToddWhiteLC. What Is Joy in Persecution? Are You Called to Be Light?